ACCEPT - Unveil "The Rise Of Chaos" Music Video! - Welcome To All That Shreds Magazine! 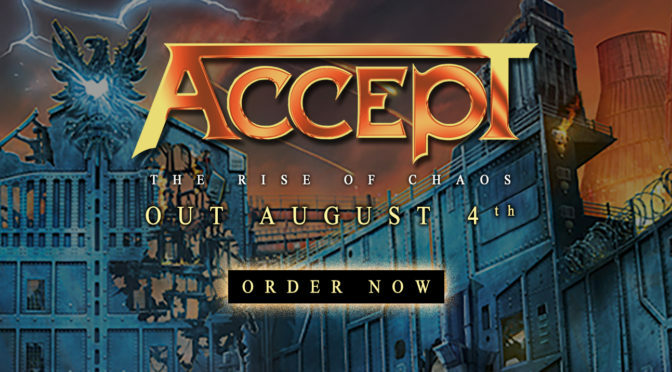 Accept unveils the official video to ‘The Rise Of Chaos’. Shot in Nashville‘s famous rehearsal centre Soundcheck, the video consists of 81,127 still images that were later transformed into video sequences.